When Thom and I took a seaplane flight over Vancouver back in July we spotted a lighthouse surrounded by trees. It looked as thought the lighthouse would offer great views of Burard Inlet and over to Vancouver so we decided to find out if, and how, we could get over there on foot. It turns out the lighthouse even has its own park! 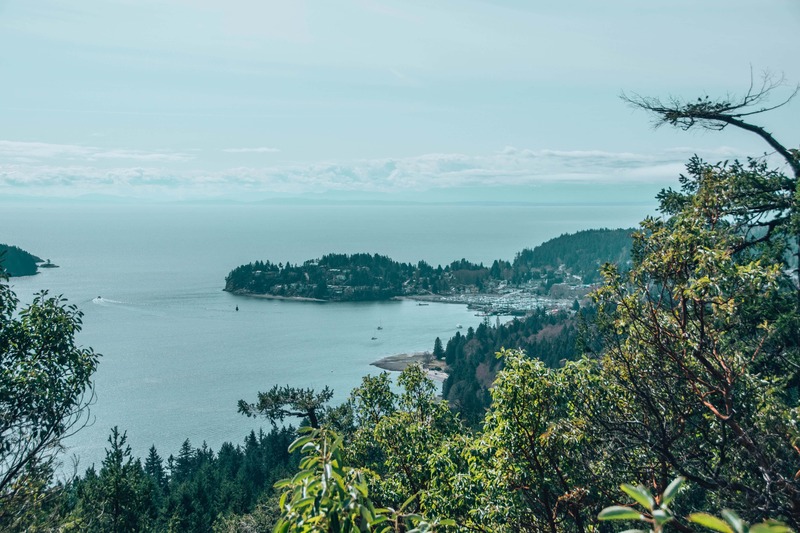 Lighthouse Park in West Vancouver is free to visit and offers several miles of hiking trails through old, uncut rainforest. Whilst you can’t get super close to the lighthouse itself, several trails open up on to views of the lighthouse and the sea just as we’d hoped. If you want to escape the city for a few hours then plan a trip to Lighthouse Park with this guide to help! 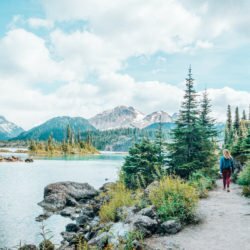 Which trails should I hike in Lighthouse Park? Download the Lighthouse Park hiking trail map (PDF). Is Lighthouse Park dog friendly? How do I get to Lighthouse Park? Lighthouse Park is unique in that it’s Vancouver’s last standing first-growth Douglas fir tree forest. AKA the trees are super, super old. The entire park is 185 acres and the lighthouse has been there since 1874 however the one you’ll see isn’t quite as old and was built in 1912. 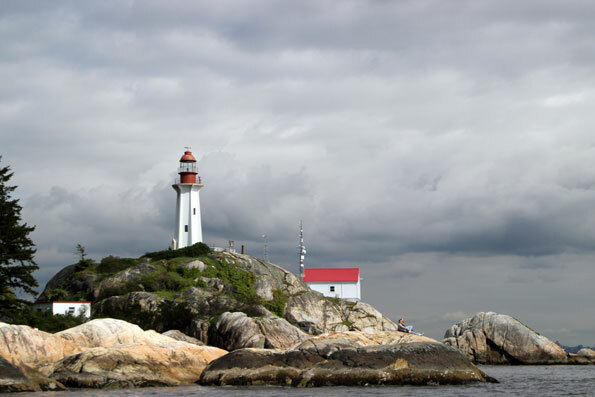 The lighthouse has since become one of the most photographed landmarks in Lower Mainland BC! 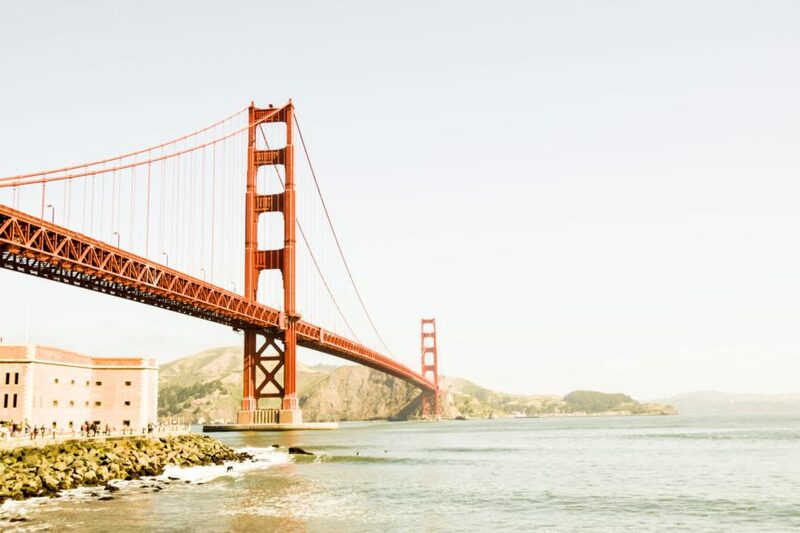 It’s not just the lighthouse that you should visit this park for. 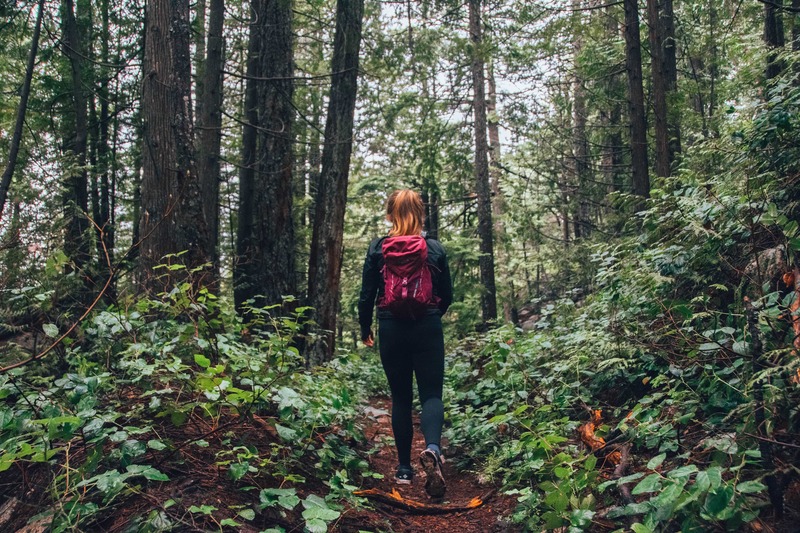 The trails themselves are worth exploring and the waters around the park are a Rockfish protection area so keep your eyes peeled! There are several trails through the park and they’re all fairly easy. Only a few of them have a short hill to ascend or descend. Before you start exploring take a look at the park map in the carpark and plan your route. I’d suggest planning a circular route to make sure you don’t miss the lighthouse at the far end of the park! The shortest walk won’t take you long at all and goes directly towards the lighthouse. To take this route follow the wide trail for about 10 minutes. Then, to the right of the picnic tables, a path leads up onto a rocky outcrop giving a view of the lighthouse just over the tree line. There’s plenty of signposts so you shouldn’t get too lost! Another picturesque location is at Starboat Cove. Once you’ve got to the lighthouse head east for 15 minutes and you’ll come across a steep path that takes you down to a beach area. The waves here are usually pretty rough and it’s not a golden sand beach, but it is picturesque! We took a combination of trails to get down to the bottom of West Beach Trail. We started on Lady Fern Path and switched onto the Seven Sisters Trail. The advantage of doing this is that the trails were much emptier than the popular, and direct, Beacon Lane Trail. Yes! Dogs are allowed off-leash (which is pretty rare for hiking trails around here!). Just make sure they stick to the trails and don’t go exploring too far away from you. We took one of the dogs we were house sitting here and she absolutely loved it! If you’re driving then just left off Marine Drive in North Vancouver and onto Beacon Lane. Continue toward the parking lot as signposted. If you’re using public transport you’ll want to take the West Vancouver Blue Bus #250 Horseshoe Bay. 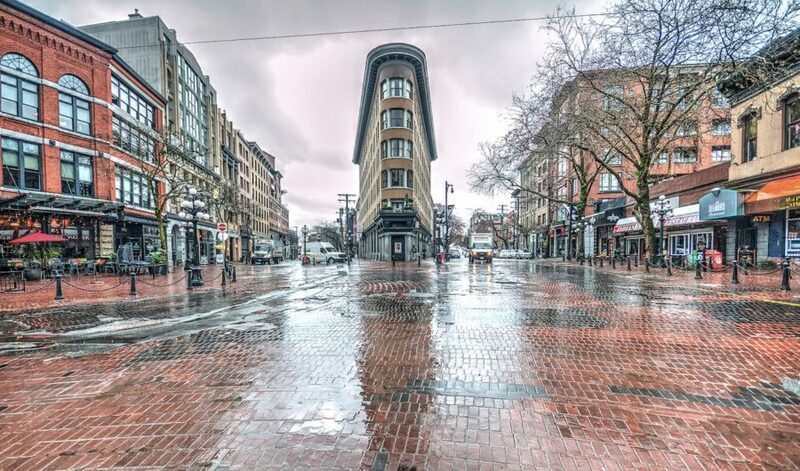 You can get this from all over downtown Vancouver or at the Park Royal shopping centre just over Lions Gate Bridge in North Vancouver. Get off at the Beacon Lane + Marine Drive stop and walk along Beacon Lane into the Park. Parking: Yes, free but limited. Get there early or late at the weekend.